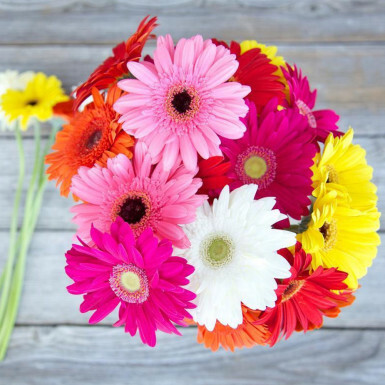 Keep High Spirits as Gerberas it is Bright and cheerful daises are available in a variety of colors to send your warm wishes to your near and dear ones. These multicolored gerbera flowers will surely convey thy feelings and are just perfect to congratulate somebody. We strongly recommend you to gift this special floral arrangement as it has the power to uplift the mood and spirits of the recipients and fill their life with colors of joy and excitement. The arrangement is made by our best experts with carefully handpicked flowers and packed together. I am satisfied with every order delivered by Winni. I would like to express my gratitude towards the whole team for making every occasion a perfect one. This bunch is amazing and liked by my friend.